I would seriously shelve these three together just for how pretty they look side by side. And I'd do it in this order so as to be able to admire the light as it moves into darkness. I have only read one of these authors before, but I look forward to checking out all three. Two historical fantasies and one young adult fantasy, this summer is looking better and better. I am a huge fan of The Winter Sea, and so it is with great pleasure that I anticipate this sequel of sorts. The matching covers will also look so nice together (that's right, I really am that shallow). Kearsley is the best when it comes to time traveling historical fantasies (and, really, when does it not?) I have implicit faith in her and in this adventure that spans the courts of Jacobite Scotland and Czarist Russia. How about that cover? I mean, really. Well done, Harlequin Teen. This sophomore novel from Ms. Metcalf is set in the world of the Twixt and looks to be the first in a trilogy and/or series. It's a bit hard to tell from the blurb, but it seems there will be monsters, glowing girls, boys who try to cut out your eye, and other such and sundry. I await good things. Set in San Francisco in the years after the Great Quake, this dark fantasy follows a young woman who walks with ghosts. Having fled the bay and too many memories, she is called back by a spirit in need of rest. This one sounds part paranormal, part mystery and I am very interested in getting to know it better. Wow - I have to agree with you - the covers are so beautiful! I thought so. Pretty, pretty. The cover for Indelible reminds me of the feel of Sarah Cross' Kill Me Softly - they don't look alike, but the menacing rose promising fairy tales subverted thing is a sense I get from both covers. I'll be on the lookout for reviews of this one... sounds creepy & wonderful. Interesting, I hadn't made that connection. But you're right. The threatening rose and all. I really love this cover. I so hope the insides match (or exceed) the out. Wow these are beautiful! I especially love Indelible. 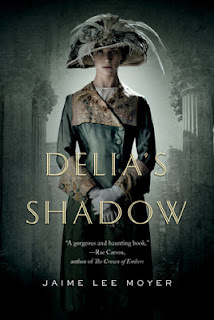 Delia's Shadow sounds like an interesting story too. Thanks for sharing! Don't you? I love it. 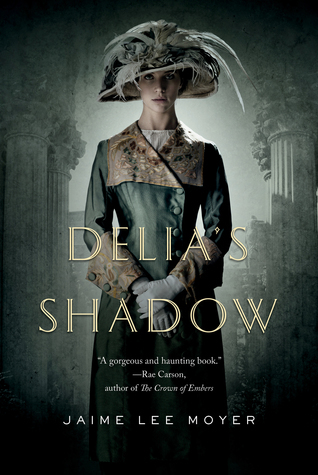 And, yeah, while the cover is lovely, it's the story behind DELIA'S SHADOW that really has me interested. 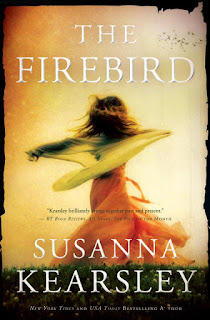 I can't wait for Firebird, too!!!!!!!!! Oh, I know. So much love for her storytelling. 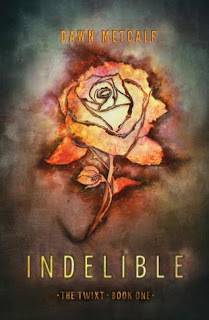 Oh, I especially like that cover for Indelible. I like how it's a little vague what, exactly, it is, and how it's portrayed. It makes *possibilities* possible. Me, too. It's at once promising and foreboding. The Firebird was soooo good! Wish I could read it again for the first time! Ahhh! I knew you'd already read it. SO glad to hear it's that good. I can't wait!